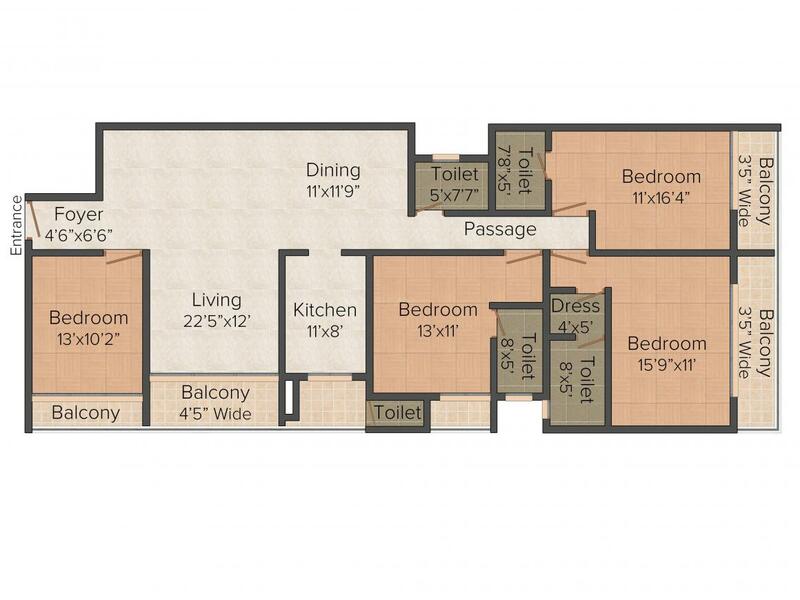 2113.00 sqft. - 2420.00 sqft. height of extravagance with your loved ones. Adyar is a large neighborhood in South Chennai. It is located on the southern banks of the Adyar River. It is bounded by the Buckingham Canal to the west, Tiruvanmiyur to the south and Besant Nagar to the east. The Mass Rapid Transit System runs through Adyar and has three stations within the neighborhood - Kasturbai Nagar, Indira Nagar and Thiruvanmiyur. The Elliot’s beach in nearby Besant Nagar is the nearest point to the sea, and a popular recreation spot. Adyar is also home to Adyar Cancer Institute and Central Leather Research Institute, the world’s largest leather research institute. IIT Madras, Anna University, National Institute of Fashion Technology, Asian College of Journalism and the Technical Teachers Training Institute are all located in adjacent neighborhoods. It is also easily accessible from the railway station and the airport. 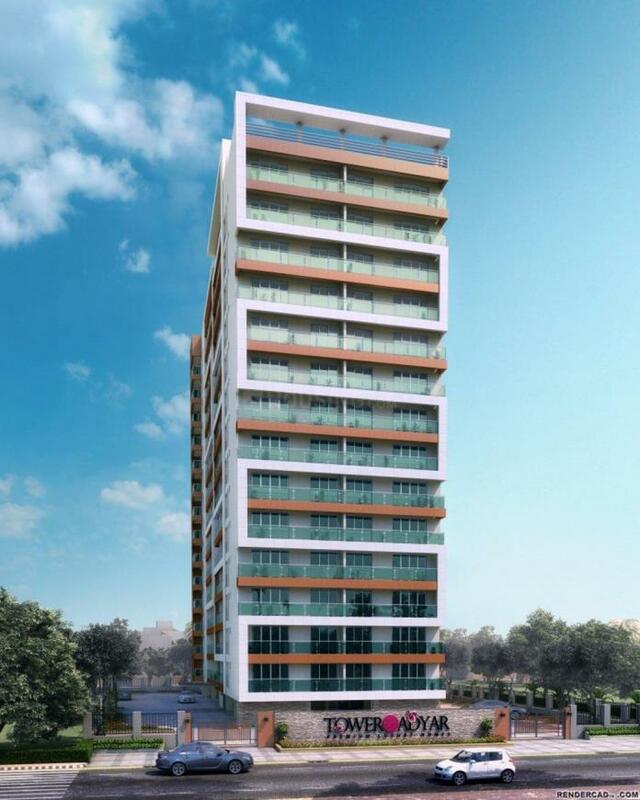 Since inception in 1973, Nahar Group has been at the forefront of developing prime real estate projects in Mumbai, Pune, Chennai, Ahmedabad and parts of Rajasthan. With proficiency in developing Integrated Townships, Lifestyle Residences, Industrial and Commercial spaces, Nahar Group has also marked its footprint in the field of Education with Nahar International School which is affiliated to Cambridge School network, in Healthcare by establishing Nahar Medical Centre, Nahar Business Centre and Wellness provide holistic approach to the patrons from its core business as a real estate developer. 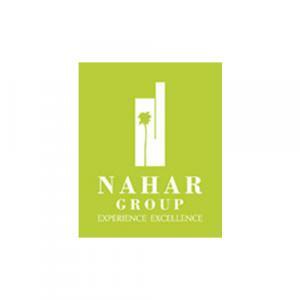 Nahar Group is recognized for its quality, reliability and professional approach. The Group has earned prestigious awards for its domain expertise, management practices, corporate governance, corporate social responsibilities, Best Garden and Township, Excellence in Innovative Marketing and many more. The group was recognized by HDFC for building a better future. Nahar Group has been recognized as the ‘Best Brand in Real Estate’ at the Economic Times Best Brand Awards. The Group has carved a niche for itself to become leading real estate names in the country to reckon with.